Vikerraadio began broadcasting on 3 April 1967 as Second Programme of Estonian Radio. The programme was restructured in 1995. Despite toughening competition, Vikerraadio is the most popular radio station in Estonia. Almost half of all Estonians listen to Vikerraadio (weekly reach of 49.6%). The popularity is especially high among listeners with higher education. My Worldmusicshow ‘Ilmahelid’ can be heard by Wednesday evenings at 19.05 with replays by Thursday mornings at 10.05 and by Saturday nights at 24.00. It’s hosted by freelance Tõnu Timm, who had this kind of hobby already 15 years. 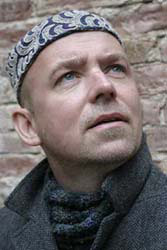 He’s also known as a unconventional musician and as a lector in Tallinn University (lectures about orient music).